Located about 9 miles north of Mexican Hat, Utah, Valley of the Gods is a Lilliputian version of its nearby neighbor, Monument Valley. 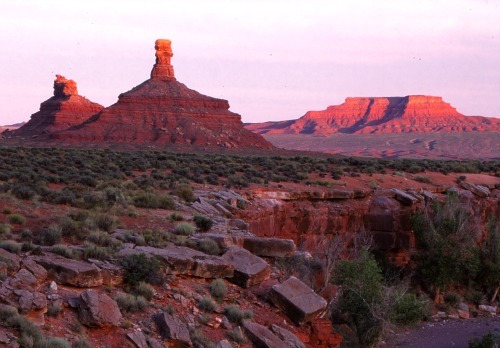 However, unlike Monument Valley, which is part of the Navajo Nation, this scenic attraction is under the jurisdiction of the Bureau of Land Management (BLM). This is an important distinction. In short, Valley of the Gods is a place of isolation, solitude and peace and quiet; a place to get away from the maddening crowds. 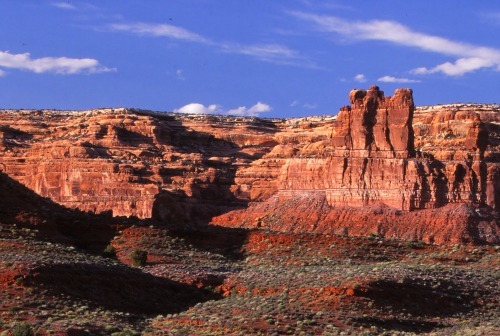 Valley of the Gods is a coral-red-sandstone valley tucked away beneath Cedar Mesa in southeastern Utah, nine miles from Mexican Hat. It is a landscape of red earth sprinkled throughout with twisted juniper and cedar, sculpted red-rock buttes, fins and pinnacles with fanciful names like Lady in a Tub, Castle Butte, Rooster Butte and Setting Hen Butte. 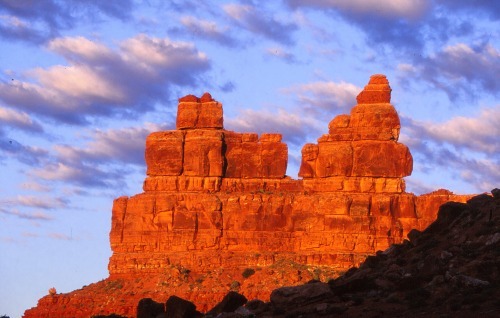 The Valley of the Gods road is a 17-mile dirt route that connects Highways 163, to the east, and 261, to the west, forming a very picturesque loop. The road is rough and washboard in places; it is sandy and bumpy with a few steep grades. Although it is accessible by most vehicles in good weather, a vehicle with high clearance is recommended. The road should be avoided in wet and snowy weather. Books and Maps about Valley of the Gods may be purchased through Amazon.com by clicking the link below. This is a primitive area. There are no facilities; not even a portapotty. You may camp within the valley, but campfires are not allowed. If you don’t make many stops along the way, the drive through the valley can only take a couple of hours. But, that would be such a waste. This lovely valley, below Cedar Mesa, is a place meant to be explored, and, although there are no official trails, the terrain is open and easy to walk across without getting lost. Look for the occasional jeep trail and explore those. Who knows what treasure awaits you at the end of the trail? The valley is dry for much of the year, so always carry plenty of water in your vehicle and when hiking. With all the beautiful and sculpted forms, there is plenty to photograph, and like so many places in the southwest, the landscape here can be harsh and garish. But, early in the morning and late in the afternoon, when the light is soft and buttery, everything takes on a special glow. That is the time you want to be out making your photographs. In addition to landscapes and portraits, shoot some silhouettes. These are always fun to make in the early morning and late afternoon, especially at sunrise and sunset. Utah), or U.S. Highway 163, (about 15 miles west of the town of Bluff, Utah, and seven miles east of Mexican Hat, Utah). 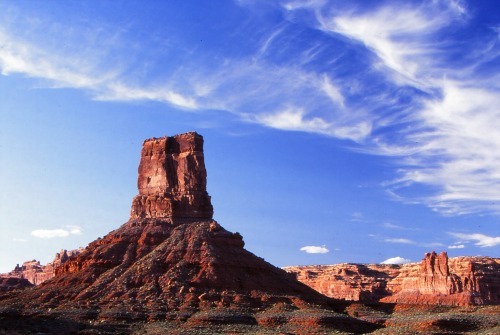 The nearest lodging is located in Mexican Hat and Bluff, Utah. You can check out all the lodging by using one of the boxes below, which are powered by Hotels Combined. This is not a booking agency; it is only a search engine to find you the best deals. Have A Great Story To Share? Do you have a great story about this destination? Share it! Remember, you can preview it and edit it before sending it.